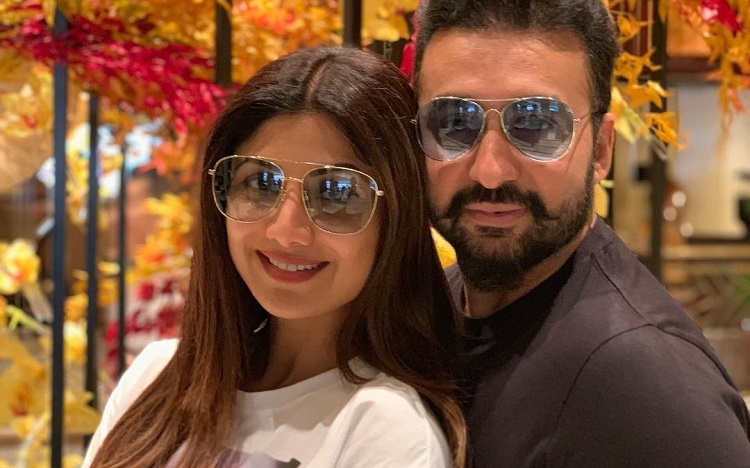 Shilpa Shetty and Raj Kundra have been trending and so has been the term "divorce", speculating a possible separation, all thanks to prankster Anurag Basu. A report in Pinkvilla states that during a recent episode of Super Dancer 3, Anurag Basu managed to get hold of Shilpa Shetty's phone and sent a text to the actress' mother Sunanda Shetty posing as Shilpa, saying that she's getting a divorce. The report adds that while Shilpa remained unaware of the prank, her co-judge Geeta Kapoor told her about Anurag Basu's prank. Shilpa then snatched her phone back from Anurag and asked her mother to not "panic" and explained the situation, reported Pinkvilla. The report quoting her said: "No need to panic maa. Everything is fine. Anurag dada sent that message from my phone. Don't ever believe if you get any messages that I am pregnant or separating till I myself come and tell you." The actor may not be active in films but has her hands full as a reality TV dance show host. Earlier, Anurag Basu had managed to make Shilpa's sister Shamita Shetty believe that Shilpa was apparently pregnant with her second child. As per a report in DNA, the filmmaker took Shilpa's phone and texted Shamita to say she's pregnant.